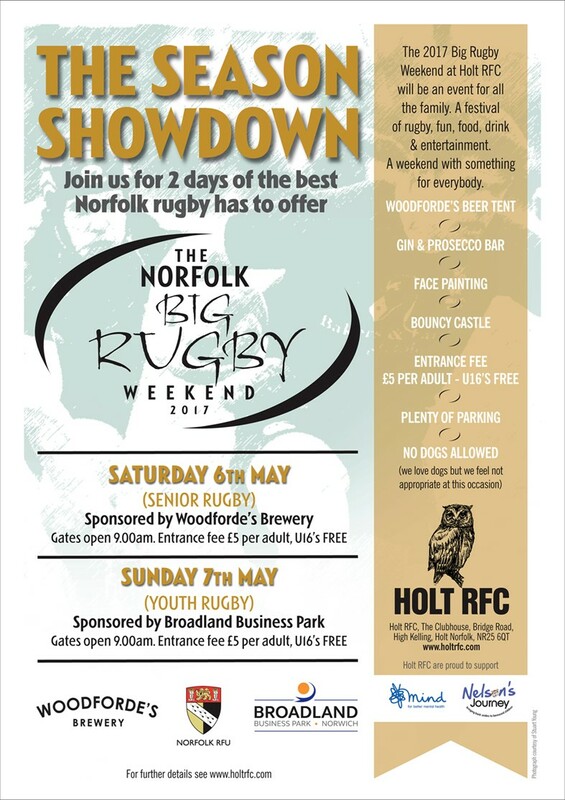 Argents Wealth Management is to be a sponsor of the Norfolk Big Rugby Weekend which takes place at Holt Rugby Club on the weekend of May 6th and 7th. The event features the Woodfordes Norfolk Senior Cup Final as well as numerous other county finals over the 2 days. The aim is to stage a festival of rugby which can be enjoyed by all of the family. If you attend and purchase an ‘eco cup’ to enjoy drinks during the day you will see the Argents Wealth Management logo proudly displayed on the cups. Proceeds from the sale of these will go to the mental health charity MIND. If you are interested in attending the festival – please contact Adam at Argents Wealth Management (adam.tebbutt@argentswealth.co.uk) or Joanna Storey at Holt Rugby Club (joannastorey1066@btinternet.com) for more information about the event.